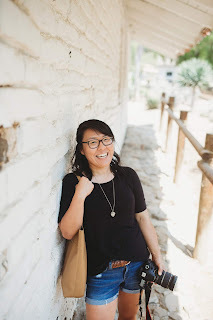 I've confessed to a lot of different things here on this blog. And I have another one for you lucky ducks. 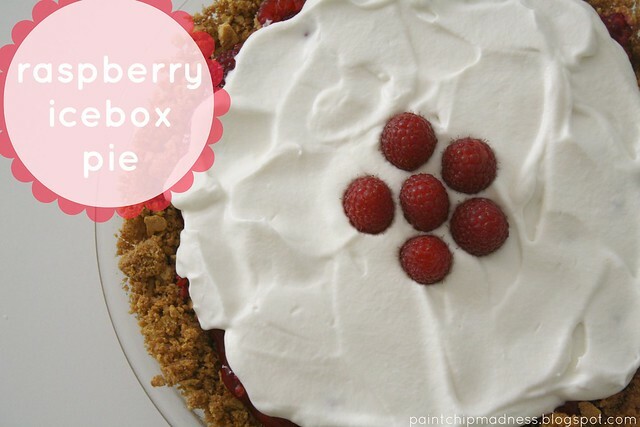 Up until this summer, I had no idea what an icebox pie was/is. I'd seen various recipes in cookbooks and newspapers growing up, but always figured it was some old fashioned--and therefore, according to my child-thinking, odd--recipe. So I never tried it, never looked at the recipe, never thought of making one. Until I created my summer bucket list. Yes, I do blame everything on that little list. 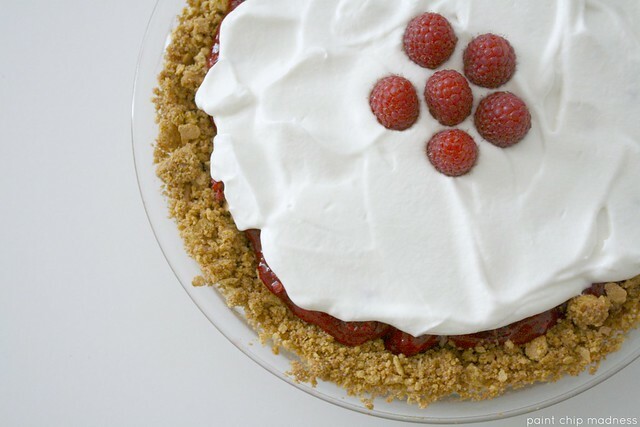 I found Martha Stewart's Pies + Tarts cookbook at my local library and after flipping through its intense + incredible + delicious looking recipes, I noticed the recipe for this strawberry icebox pie. 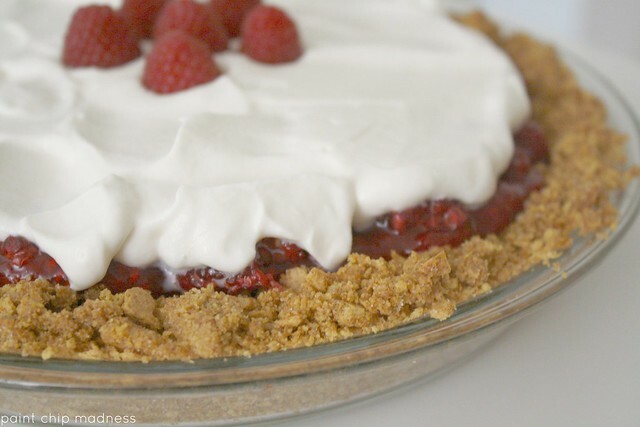 And it not only looked easy to make, but it looked delicious and is comprised of three of my favorite things: graham cracker crust, fresh berries, and homemade whipped cream. Unfortunately, I only had that cookbook for two weeks and being my lazy self, I decided to look for a similar recipe on Pinterest instead of having to copy it down by hand. Anyway, I did indeed find Martha's recipe but I found that Kristen (of The Kitchen Sink blog) had one too. I chose her adaptation of Martha's recipe because I didn't have cranberry juice. And then I adapted it. Only because I had fresh raspberries to use up before they crumbled into jam. And it was easy, delicious, and scrumptious. And here's how you can make your own! Preheat the oven to 350 degrees. Combine the crushed graham crackers, 2 tablespoons sugar, cinnamon in a bowl. Add in the melted butter and mix. Pour the mixture into a 9-inch pie pan use your hands to form the crust. Bake in the oven for 12-15 minutes, or until golden brown. After baking, let the crust cool. To make the raspberry filling, add 3/4 cup sugar, lemon juice, lemon zest, 2 cups of the raspberries, and cornstarch in a sauce pan. Stir the ingredients together over medium-high heat and bring the filling to a boil. Stir frequently until thick, and then remove from heat to cool. After the filling has cooled down, add in the remaining raspberries and mix together. 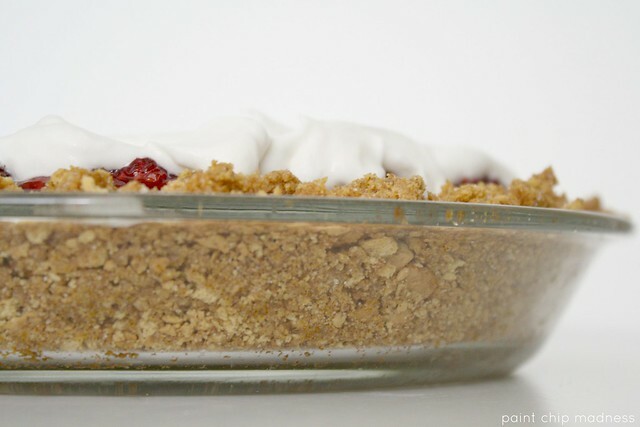 Then, pour the filling onto the cooled graham cracker crust and make the whipped topping. To make the whipped cream topping, combine 2 tablespoons sugar, heavy whipping cream, and vanilla extract and beat until firm peaks form. Be careful, over-whipping results in butter. Trust me, I've had my fair share of that. 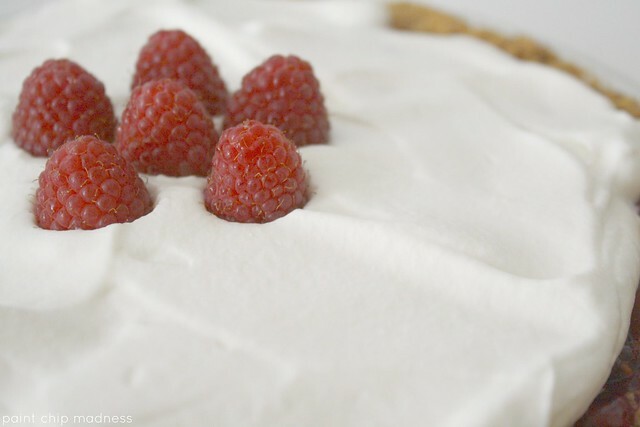 Spread the whipped cream over the pie and refrigerate for about 4 hours (According to Martha, it can be refrigerated up to a day in advance).